SYRACUSE, N.Y. - A professor emeritus at the SUNY College of Environmental Science and Forestry (ESF) was elected today as a member of the National Academy of Sciences, one of the most prestigious awards that can be bestowed upon a scientist. Dr. Robert M. "Milt" Silverstein, an expert on the chemistry of insect communication, is the first ESF faculty member and the second Syracuse resident to receive the honor. Silverstein was among 60 new members and 15 foreign associates from nine countries who were elected in recognition of their achievements in original research. Josef J. Zwislocki, a Syracuse University distinguished professor emeritus, was elected to membership in the academy in 1990. Silverstein is famous for his pioneering study of bark beetles, which began in 1964 in collaboration with a scientist from the University of California at Berkeley. It led to several scientific breakthroughs, including the first identification of an aggregating pheromone, a substance released by an insect that attracts others of the species to a given location. Bark beetles use the technique to ensure that enough of them attack a susceptible tree to overcome its resistance. The study also led to several other discoveries: the first multicomponent pheromone, synergism among inactive components in pheromones, the contribution of the host plant to aggregations, and the chemical interplay between several species of bark beetles and their associated predators. 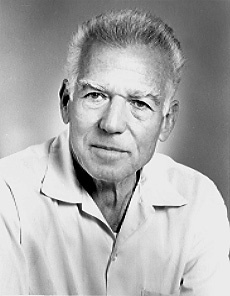 Before joining the ESF faculty in 1969, Silverstein worked as a research fellow at the Stanford Research Institute. Silverstein earned his bachelor's degree from the University of Pennsylvania, and his master's and doctoral degrees from New York University. He retired from teaching in 1986. Silverstein and his former colleague, John B. Simeone, were founders and longtime editors of the Journal of Chemical Ecology. They were honored in 1995 by the Society of Chemical Ecology, which held a lecture series, named for them, in their honor.